Hailing from East London , JSB aka Mr Consistent has been in love with music since the age of 12 but only decided to take it seriously in 2002. While going to his friends house , he used to get 2 tape recorders to play instrumentals and the other to record them during freestyles. It was a natural progression from freestyling to writing lyrics in song format. His first attempt was at song writing was his self entitled ''Let me Be Free '' which he recalls as been proud of at that moment. .
JSB then built his own studio so that he could concentrate on perfecting his craft. Balancing College and his music , JSB has managed to appear on numerous sites such as WriteonPoint.com and HipHop4real.net ( Artist of The Month). Other appearances have been for Deep Impact Records for ''Voice from the streets Vol.1 ''. 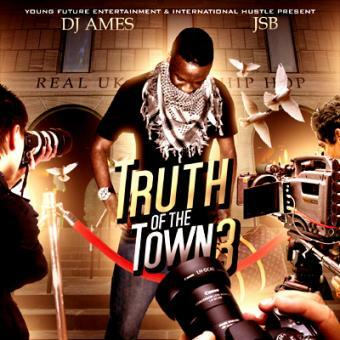 As JSB's skills grew , he released his 4th Mix tape entitled Truth of the Town Vol. 2 in 2008 , which was hosted by DJ Dammit of Plusmatics Music Group / Shadyville. JSB performed in Liberia for the ''Liberia Unites Against Aids Concert'', where he performed with artists such as 2 face , Tony Tetula, Aki , Paw Paw Nigerian Nollywood Actors. The tour was such a success that he reached Number 1 in the Liberian National Charts.